UPDATE: Ugly Christmas Sweater Party Dec 22nd, 2018 at 09: 00 PM @ White Diamonds Bar & Grill 3906 W Camp Wisdom Rd, Dallas, Texas 75237. Outrageous Christmas Sweaters Galore! 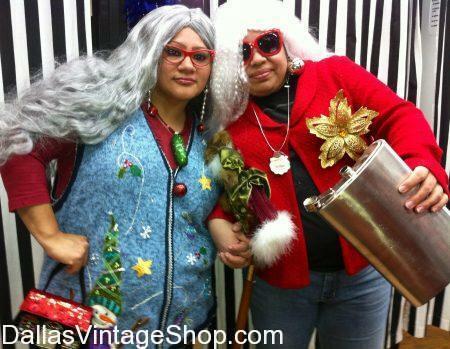 $200 Cash Prize to person voted Best Ugly Xmas Sweater! “Come out and enjoy the holiday spirit by listening to the Live sound of Saxophonist A.D Bonner of A.D Bonner Music, as he plays some of the favorite Holiday Music!!!! Then the party starts, dance, drink, eat the night until our local talent from R&B Singers to rappers keep you entertained until the Ugly Sweater contest begins. Order your tickets now as the price will go up at the door!!! Thanks! This entry is filed under 2019 TBA (Q4) Ugly Christmas Sweater Party. You can follow any responses to this entry through the RSS 2.0 feed. Both comments and pings are currently closed.